Fannie Mae is an integral part of the US housing industry since its inception in the year 1968. The organization operates exclusively in the secondary mortgage market and works with the mission to help lower, moderate, and middle-income people buy homes. While it does not lend money directly to the home buyers, it ensures that funds are consistently available and affordable by buying mortgages from a variety of institutions that lend money directly to home buyers. 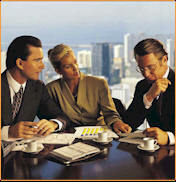 Secondary market is the place where mortgages are bought and sold by various investors. Investors in the secondary market include Fannie Mae, various pension funds, insurance companies, securities dealers, and other financial institutions. Fannie Mae works by lending money to the primary mortgage market. This comprises mortgage companies, savings and loans, commercial banks, credit unions, and state and local housing finance agencies. Fannie Mae’s focus is to make sure that funds are consistently available for home buyers in every state across the country on an ongoing basis. Fannie Mae operates in two ways. Through the first method, it pays cash for mortgages purchased from lenders and holds those mortgages in their portfolio. The lenders in turn can use that money to make more mortgages for more home buyers. Alternatively, Fannie Mae also issues Mortgage-Backed Securities (MBS) in exchange for pools of mortgages from lenders. These provide the lenders with more of a liquid asset to hold or sell. Fannie Mae MBS are highly liquid investments and are traded on Wall Street through securities dealers. Once a mortgage is originated, lenders have the option to either hold the mortgage in their own portfolios or sell the mortgages to secondary market investors, such as Fannie Mae. When lenders sell their mortgages, they replenish their funds so they can turn around and lend more money to home buyers. Loan limits are adjusted each year, in response to changes in housing affordability nationwide. In order to fund its mortgages, Fannie Mae issues debt securities to investors. A significant part of its earnings are derived from the difference between the yield on those mortgages and the cost endured to buy them. On issuing MBS, Fannie Mae guarantees that investors will receive timely principal and interest payments, regardless of what happens to the underlying mortgages. In return for the guaranty, Fannie Mae earns a fee that is another source of income.